Uh-oh, you can’t print your PDF, the print button turns into grey, and you see the SECURED character in your PDF file name. Why can’t I print the PDF file? You can’t print such a secured PDF because the PDF author locked the PDF. The password the author set or a third-party unlock website can help you solve this problem. But here we’ll tell you a easy solution. 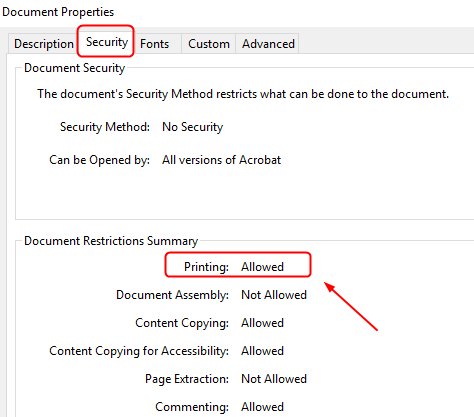 How do I print the secured PDF file? 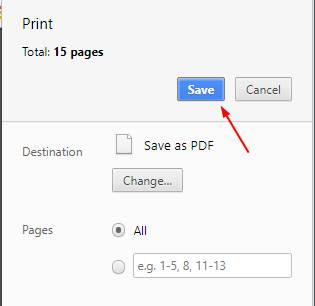 We’ve found a free, easy and fast way to print a secured PDF file. Go with the steps with images one by one. You can print your secured file instantly. 2) Drag your secured file into Google drive or, you can upload it by clicking New > File upload, then double-click your secured file . 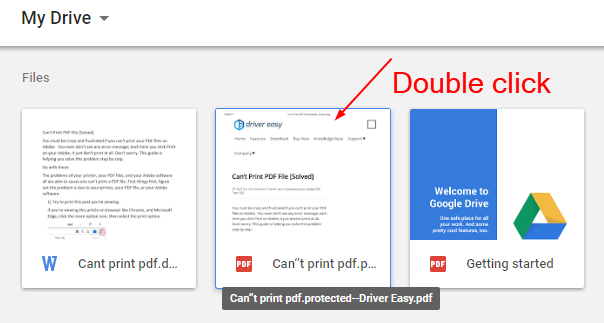 3) In Google Drive, double-click your secured PDF. 4) Click the print button on the top right. 5) On the open page, click Change…. 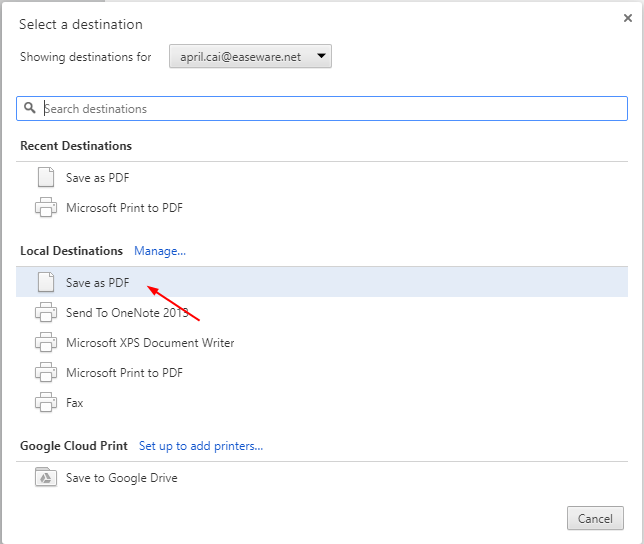 6) Double-click Save as PDF in the Local Destinations section. 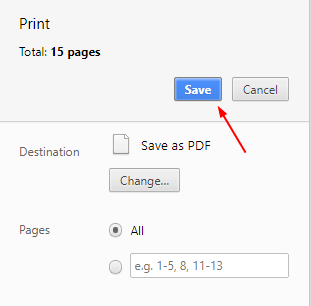 7) Click Save and choose a place you want to keep the new PDF. 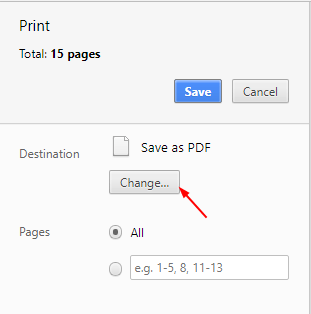 8) Double click your new PDF and you should be able to print it now. 8-1) With your new PDF open in Adobe, click File, than Properties…. 8-2) Click Security, then you can see the Printing is Allowed. That’s all there is to it. Please leave your comment below for any questions, thanks.